Monday: Kitchen 1130 am to 11 pm. Bar til Midnight. Tuesday: Kitchen 1130 am to 11 pm. Bar til Midnight. Wednesday: Kitchen 1130 am to 11 pm. Bar til Midnight. Thursday: Kitchen 1130 am to 11 pm. Bar til Midnight. Friday: Kitchen 1130 am to Midnight. Bar til 1 am. *Saturday & Sunday Brunch: 11 am – 3 pm. A note about seating large parties: Our inside tables are best suited for parties of 6 and less during peak business hours. If you are comfortable sitting outside during better weather or under our heaters when it’s cold, we may be able to accommodate parties of up to 12. 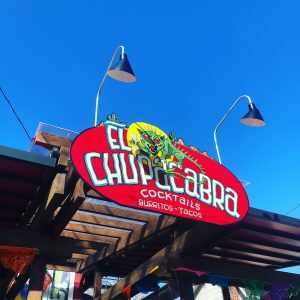 El Chupacabra’s first location opened in Greenwood spring 2005. Snug in an old house turned cantina, Phinney Ridge is the perfect place to sip on a margarita, eat a burrito, and relax by the fireplace in the winter. In the summer come chill on the patio with a cold one and some tacos. The patio is open year round and if it gets cold ask for a blanket! We also have a dining section great for anyone under 21. No dogs on the patio (You can tie them up outside the deck.) No Reservations at this location.